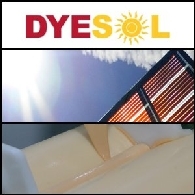 Greatcell Solar Limited (ASX:DYE) (OTCMKTS:DYSOY) is a global leader in the development and commercialisation of Perovskite Solar Cell (PSC) technology – 3rd Generation photovoltaic technology that can be applied to glass, metal, polymers or cement. 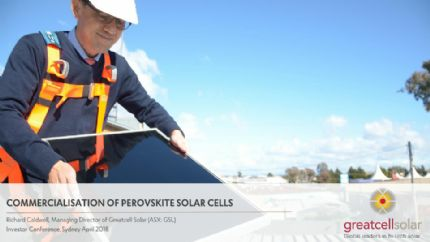 Greatcell Solar Limited manufactures and supplies high performance materials and is focussed on the successful commercialisation of PSC photovoltaics. 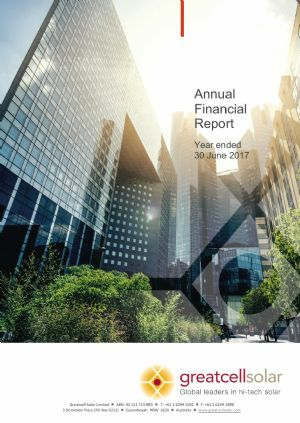 It is a publicly listed company: Australian Securities Exchange ASX (DYE) and German Open Market (D5I). Learn more at our website and subscribe to our mailing list in English and German.